Neatebox has developed a unique solution to remove a major barrier for disabled people who are trying to lead an independent life: poor customer service and lack of assistance. Welcome by Neatebox has been designed to support passenger assistance teams to interact with disabled passengers in a way that suits their needs. In the UK alone, there are 13 million people with disability. With a spending power of £249 billion, disabled people and their families are an important customer segment for UK businesses. There was a strong need for a solution that revolutionises the way customer service staff interacts with disabled visitors. While service personnel receive some training, they are often nervous about putting it into practice at the time of the meeting and fail to meet the individual’s requirements. No matter the level of training, for many visitors living with “hidden” disabilities it is impossible to know about any requirement to act unless the visitor accepts that they need to initiate a conversation and publically reveal their condition. The Welcome system combines a free app for the users with a cloud-based platform that allows venues to manage the visits with Welcome. The app enables disabled visitors to inform the assistance team of their disability and needs in a discreet manner ahead of their arrival. The PRM staff will be provided with an overview of the disability and top tips to aide their interaction with the passenger. If the special assistance team can provide the assistance required, they accept the visit. This gives the user the confidence that their needs are understood and will be met upon arrival. 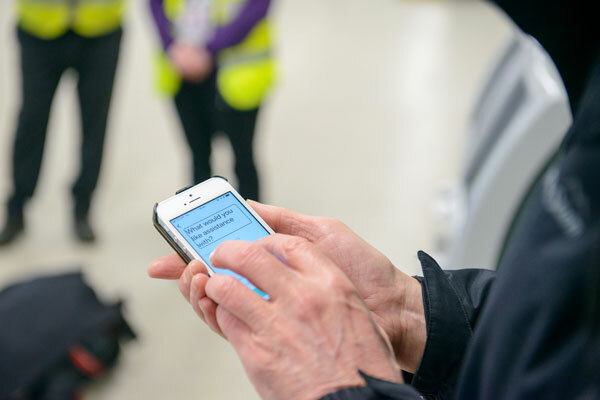 A three-point notification system utilises geofence and iBeacon technology to alert PRM staff of users who are on approach and who have arrived at the entrance. This system will raise the confidence of staff to interact with disabled passengers in a more appropriate and respectful manner. The advance notification and training refresher that is specific to the visitor will make the customer service more streamlined, yet personalised to the individual. 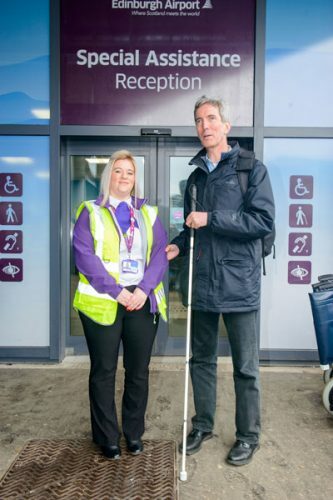 We are working with Edinburgh Airport who have put a major focus on becoming more accessible and inclusive after receiving a poor rating for their disability provision in the CAA report of 2016. The system is used by their PRM team to receive additional tips on how to best interact with disabled passengers and to get alerts when the passengers are on their way to the airport. 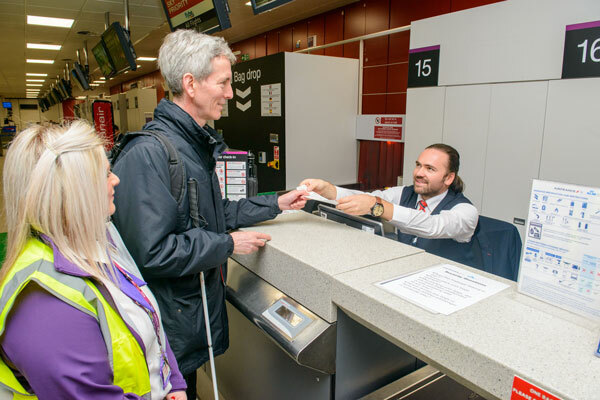 After launching the system in March 2018 with MSP Jeane Freeman and Edinburgh Airport CEO, Gordon Dewar, the Welcome service has already been used 45 times. And the feedback from the users has been phenomenal. On entering the Special Assistance Office we were met and welcomed by Ian from the team. We were then taken through to Check-In\Bag Drop and asked if there was anything in particular we wanted to do. Ian took us through Security, had a stop at Duty Free and then went in to one of the restaurants for food. Ian ensured we got a table. When we were finished, another member of staff returned to collect us and assisted us to our plane. My visit with Welcome was a big improvement in customer service as normally when travelling through airports you are taken through security and dumped at your gate with no opportunity of shopping or eating. As a blind person, I have many tools to help me make journeys, but often the hardest part is the last 50m. Where is the entrance to the place I’m heading for? The Welcome App notifies the airport assistance team that I’m on my way, and they can be ready to guide me in. I used to stand at the entrance and hope that someone kind would notice me and offer help – I no longer need to do that. Airports take people from all walks to life to destinations all over the world, and it is our responsibility to ensure we have facilities that cater for everyone regardless of their needs. We’ve looked at how we can improve the wide range of services we already offer and introducing technology such as Neatebox allows us to extend that passenger care and tailor our service to those requirements. It’s also good to work with local businesses and implement innovative approaches to passenger needs – we pride ourselves on being innovative and we are confident our accessibility will continue to improve with the introduction of Neatebox. The described use case is the baseline functionality of the platform. The vision is to use the system to connect all teams involved in the passenger journey from arriving at the departure airport to leaving the destination airport. This will allow for a streamlined, more enjoyable and safer travel experience for passengers with disabilities.